What are the first steps to become a Resource Family? Potential kinship care providers, such as relatives and non related extended family members, may contact or be contacted by the Child Welfare Services agency at the time the child is separated from his or her parents and placed in out-of-home care. Relatives are encouraged to apply for emergency or non-emergency placement for a relative child. Individuals or families with a prior significant relationship with the child, but whom are not related, may also contact the agency to be considered for emergency placement of a child. Non relative/kinship caregivers interested in serving as a Resource Family for fostering, concurrent planning or adoption can call the Our County. Our Kids. information line: Our County. Our Kids. 866-899-2649 to find out when the next Resource Family training orientation is scheduled. Is the Resource Family Approval process difficult? The process is not difficult. Resource family members are provided with clear information about the steps to becoming approved and receive pre-service training. All adults 18 years and older must undergo a criminal records check, including fingerprinting and care givers are asked to get a health check and TB test. They must complete CPR and First Aid certification as part of their pre-service training. A home inspection must occur as well as a caregiver screening assessment that includes home visits and interviews with a home study worker. Why do Resource Family homes, both relative and non-relative, have to be approved in this process? Federal and state law require that all caregivers of children under the authority of the Juvenile Court be screened and monitored to assure that they can safely provide care for a child. This law is for the protection of the child. Who approves the Resource Family? Santa Barbara County Resource Family Approval Unit conducts the assessment and approval process for all prospective Resource Families. Regulations issued by the California Department of Social Services are used to approve and monitor these families. Is there a charge for the approval process? There may be a limited number of small fees for the process, including the cost of processing fingerprints, costs associated with the health exam as well as some safety devices such as smoke detector, locks for poisons and medications or barriers to pools or bodies of water on the property. 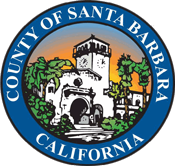 Financial assistance is available through Santa Barbara Department of Social Services. How many children can a Resource Family be approved to care for? State regulations require that adequate space be provided for each child. Homes are typically approved to accept up to two children. Exceptions can be made in the case of siblings. The number of children that you might be allowed to care for will be based upon the size of your home and your own family size. Federal regulations limit the total number of children in a home to six, with no more than two children under two years of age. Special exemptions can sometimes be made for large sibling groups and relatives with special housing challenges. What kind of person makes a good Resource Family parent? A good parent is an adult who cares about the wellbeing of children, who can be consistent and who understands the special needs of children who have been neglected and abused. Parents who can be flexible and adapt well to unexpected events or behaviors in children. A person who is willing to learn new parenting skills to meet special needs. A parent who can understand and support a child’s bond to their birth family. Do Resource Family parents receive information on the past history of the child? Yes. Child Welfare workers will give as much information as possible so that Resource Parents are better able to understand the needs and experiences of the child. The Resource Parent is required to keep this information private. Must a non-relative Resource Family accept any child referred to their home? No. After learning as much as possible about the child and hopefully taking time to meet the child, Resource Families need to decide whether or not they have the skills, commitment and experience to care for a particular child. The agency appreciates Resource Families who take time to carefully consider their decision, even if the answer is no. Our goal is to make a single successful and stable placement for the child. Do Resource Family parents need to be open to accepting children of all ages? No. The Resource Family home will be issued for a specific number and ages of children requested as long as the home meets the children’s needs. The Resource Family should discuss with the RFA staff what age and gender they can work with. Placements will be made within this age range and Resource Family parents have the right not to take a child if they feel the placement would not be successful. May a non-relative Resource Parent meet a child before placement? Whenever possible, the agency wants you to meet and spend some time with the child before you make the decision to accept placement. In certain types of situations and emergencies, this may not always be possible. Can Resource Parents receive help if problems develop with the child? Yes. A Child Welfare worker is assigned to oversee the care of each child placed by the agency and you will meet with them a minimum of once monthly to talk about the child’s needs and adjustment. You can have more frequent contact as needed. The Child Welfare worker will work with you to assess the child’s health, education, mental health and behavioral needs and to connect you and the child to services to help them. How long does a child remain in out-of-home care? There is no definite length of time. The goal of out-of-home care is to reunite children with their birth parents when a safe and suitable home life can be re-established. If reunification can occur, it will generally occur within a six to 18-month timeframe. How long might a relative or non-relative Resource Family wait for placement? Relatives and a special class of non-relatives called Non-Related Extended Family Members (NREFM) may be approved for placement within hours or days on an emergency basis, contingent on successful completion of the RFA process. The process must be completed within 90 days of placement. The placement of a child with a non-relative Resource Family is determined by the particular needs of the child, the abilities of the care givers and the agency’s need for placement of children. Many factors are considered when making placement, including religion, age, gender, ability to remain in school of origin, location of the home and other factors. Do children in out-of-home care visit their birth parents and relatives? Visits are arranged by the assigned Child Welfare worker in a manner that creates a safe environment, keeps the child’s attachment to their birth parent, and reassures the child of the parent’s continued connection. Visits are also arranged to help parents to build skills, under supervision to provide safe care for their children. Visits take place in settings such as a local church, the Child Welfare office and eventually in the community and the family home, when sufficient progress is made by parents. Whenever possible and appropriate, Resource Families work under the direction of Child Welfare Services, taking the lead in supporting a child’s visits with parents and biological family members. Can child placed in a Resource Family home go on vacations with them? Yes. Resource Families are encouraged to accept a child as a member of the family and trips and vacations are great experiences for them. These plans may need to consider the visitation requirements of the birth family and may need to be approved by the court if out of the state or country. Does the Resource Family receive funds for care of the children? Yes. Reimbursement rates for care of the child are set and approved by the state. The amount of reimbursement provided depends upon the age and special needs of the child. The money received is for food, clothing and maintenance of the child, not as income for the Resource Family. There are special rates for children with more severe behavioral and medical needs. Are their funds for medical care for children in out of home care? Yes. Most children are eligible for Medi-Cal that covers medical and dental expenses. This care is accepted by county health clinics, some local doctors and hospitals. If you are a relative caring for a child whose parents reside in another county or state, special arrangements must be made to assure this health coverage. What about a child’s clothing? If a child or youth does not have adequate clothing at the time of placement, arrangements are made to provide a clothing allowance. On an annual basis, a back-to-school clothing allowance is issued. If the child has an unusual need, such as pregnancy or a growth spurt, other clothing allowances may be issued. Yes. As with Resource Families, Kinship care homes must pass the minimum requirements for providing care for children. Caregivers must be able to adequately care and provide for the children placed with them. The home must be safe and free from health hazards. The child must have some type of emotional tie to the kinship caregivers. The kinship caregivers must be willing to work with the Department of Social Services when necessary and to follow the rules and regulations set forth by the social workers involved. • Agree to a law enforcement background check and fingerprinting. • A background check is required for the applicant as well as any person in the household who is 18+ years old. An applicant’s or household members’ prior history with law enforcement or child protective services may require more extensive consideration. While the background check process can sometimes be lengthy, it is critical to ensure the safety of the child. • Complete Resource Family Approval Training Series. The training will also include CPR and First-Aid certification. • Meet with a therapist to complete a Social Study assessment. Passing the approval process does not give the relative the right to placement of the child. Our County. Our Kids. has the discretion to place in an approved home based on the best interest of the child and their needs and services. The Department of Social Services and community agencies are committed to assisting you in fulfilling your role as a caregiver. Dependent Children – Resource Family (AFDC-FC); or CalWORKs – “Non-Needy Relative Aid.” If you are not eligible for AFDC-FC, your social worker will provide information about applying for CalWORKs. Financial assistance begins after all Relative Approval requirements are met. I work outside the home. Can I have a full-time job and become a Resource Family? Yes, Resource Families can work outside the home provided that adequate child care can be provided for the child. • What is my relationship to and with the child? • Do I understand the circumstances surrounding the child’s removal from his or her parents? • How do I feel about the circumstances? • Will I be able to set boundaries with the parents? • Will I support the child’s return to his/her parents when it is deemed safe by the Department of Social Services? • Will I be able to offer the child a permanent home through guardianship or adoption if the child is not able to return to his/her parents? • Can I commit to the well-being of the child? • Will I need financial assistance to care for the child?